Can you watercolor a dachshund dog? What do you think of this speedy, speedy watercolor? Can you watercolor a dachshund dog? You can download and print the Free Coloring Pages on this website and color me with crayons or watercolors too! 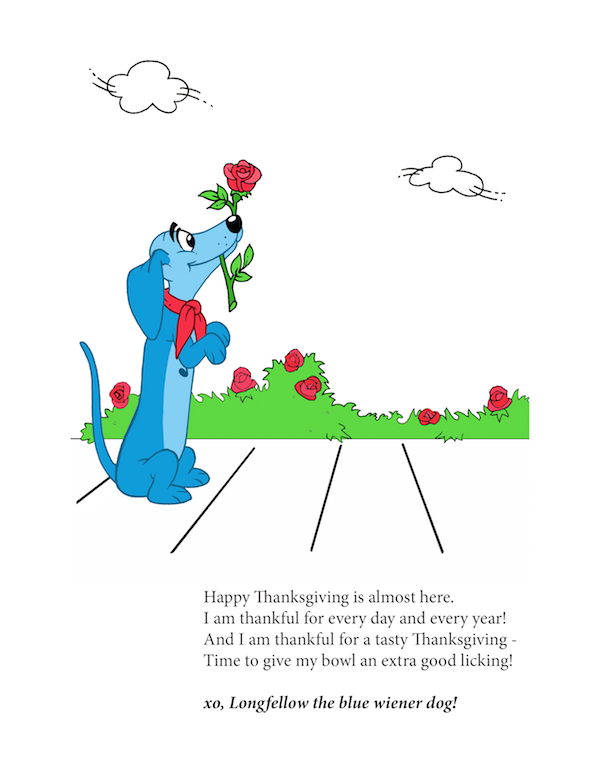 I am so excited to tell you - there is a book about me - Longfellow, the blue wiener dog! Author Linda Shayne wrote it, and Art Leonardi illustrated me! The book is called LONGFELLOW FINDS A HOME. It is all about me and how I came to live with the three funny doxie puppies! 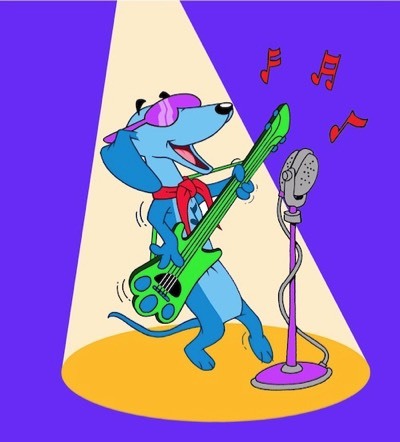 In the book, which is in book form and Ebook on Amazon and Kindle - you will get to know all about me and how I sing and play guitar and love to rock and roll. Mostly, I love life, adventures and well - I also talk about how being short isn't so easy all of the time. 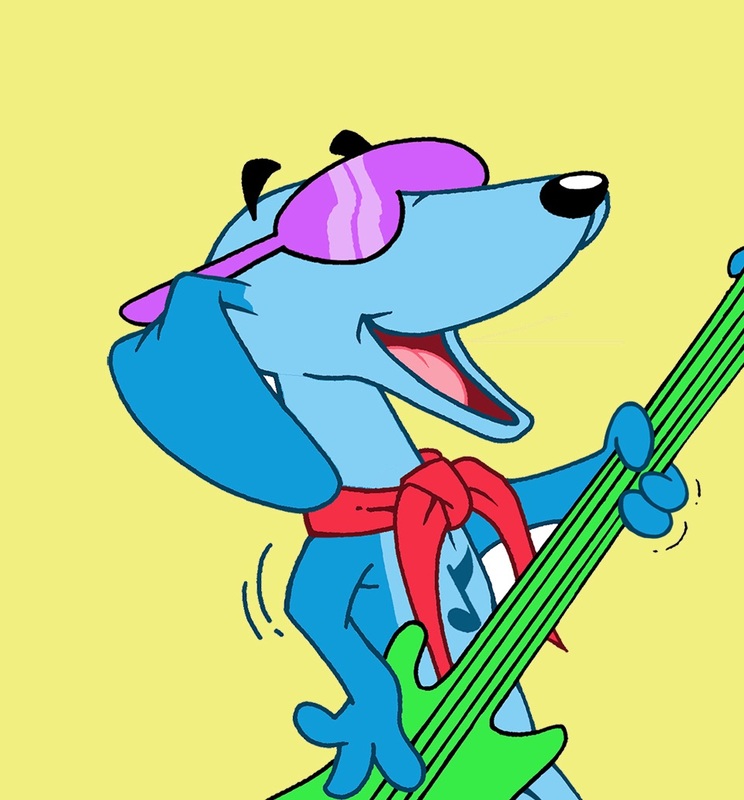 I even wrote a song about being so little called, "The Wiener Dog Blues." Some of the lyrics are in the book! I hope you like the book! It is written in rhyme, like Dr. Seuss books! I love that! 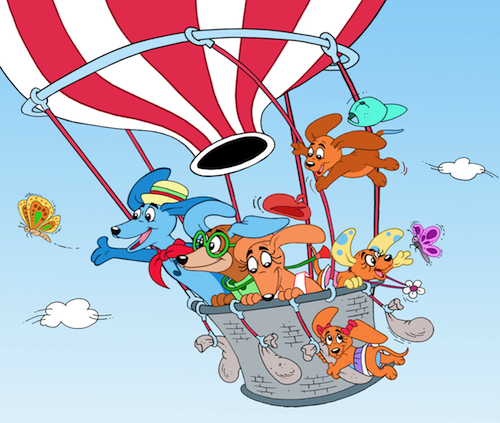 Don't forget to go to the "Free Coloring" section of this website and you can print out coloring pages of the three cute puppies and me! And for those who speak Spanish, my book is now available in Spanish too! LONGFELLOW ENCUENTRA UN HOGAR is the same story and drawings ¡en Español! One day soon the book will be in Chinese and French also! Wiener dogs live and love all over the world!!!! We may be small, but our hearts are huge! I’m a wiener dog, a hot dog – loyal and true!